Nissa was closer to the power of Zendikar, and to the world’s soul, than ever before. 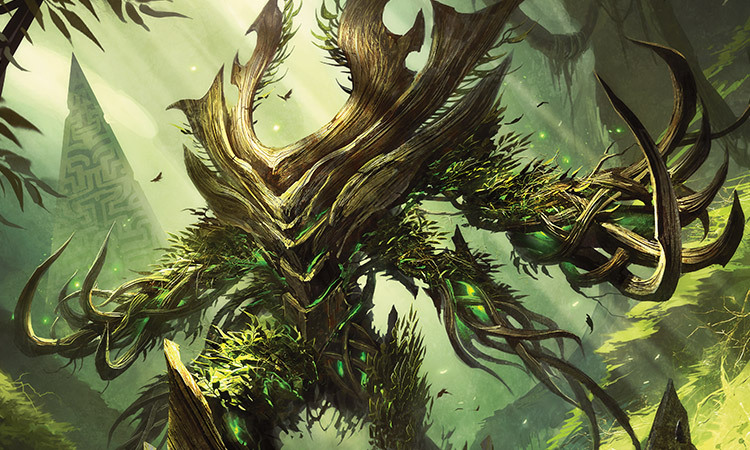 She was able to channel it through the towering treelike elemental she called Ashaya, the Awoken World—her friend. And the land itself responded to her presence, augmenting her strength and acting as an extension of her being, helping her to battle the Eldrazi. But all of that was suddenly ripped away; the soul of Zendikar was taken from her and now it is no longer there when she reaches out to it. Nissa has been left nearly powerless and alone, and she believes that the Eldrazi—perhaps even the titan—must have something to do with this. She feels the burden of the bundle of seeds that she carries with her, those from trees that have been wiped out by the Eldrazi; she promised the world that she would not stop until she could plant them safely on Zendikar again. But now, while others around her prepare to go to battle to save the world, Nissa feels the emptiness all around her and worries that they are already too late, that there is no world left to save. It happened more at twilight than any other time. A long, dark shape would move. A branch would stretch or bend. Nissa would catch it out of the corner of her eye and she would be sure—for just that moment, just that heartbeat—that it was Ashaya, the elemental manifestation of Zendikar's soul, come back just as she knew it would. But then she would turn her head. Why did she always have to turn her head? And she would see that it was just a tree, just the wind, just the long shadows cast by the setting sun. Her breathing would return to normal, her heart would fall into rhythm again, and she would be left alone, sitting cross-legged on the hard ground, in the exact place on the bluff that she had been standing when Zendikar had been torn away from her. She kept vigil there, returning each day to ground herself, reach into the land, and search for any hint of Zendikar. She was convinced that it was the Eldrazi titan that had taken it, or chased it away, or hurt it; she had seen once before how terribly a titan could hurt Zendikar. But she reasoned that if it were to return, it would return to the place it had last been—and she believed that it would return, she wanted to believe that it would return looking for her. When it did, she would be there. She would always be there for her friend. But when Nissa reached out, all she ever found was emptiness, the shattered pieces of a shell. Zendikar never reached back. In place of its embrace, she was met with a frigid chill that worked its way up through her bones as night settled in. The darkness and the cold meant it was time to head back up into her perch in the nearby massive willow. It wouldn't do Zendikar or anyone else any good if she nodded off and was consumed by an Eldrazi in the middle of the night. She often considered going back to Sky Rock each night. There was something alluring about the security offered by Gideon's sky patrols, not to mention the protection of the formidable Planeswalker himself. But the allure didn't outweigh the drawback. If the others saw her again, she'd have to try one more time to explain—and she couldn't bear the thought of exposing her hurt only to face the skeptical looks and questions yet again. She had tried to explain it to them, all of them. She had tried to explain it to Gideon, and then later to his friend and fellow Planeswalker Jace. She had told them that something horrible had happened to Zendikar's soul. It had been ripped away from her. She had lost her friend, and her access to the overwhelming well of power that flowed through the land. But neither Jace nor Gideon seemed to understand, nor did anyone else—though Jace had been, at the very least, curious about her "perception of the world," as he called it. But the thing was, it wasn't her perception; Zendikar's soul was real. As were the souls of other planes; Nissa had felt them, she'd even communicated with Lorwyn's soul. But that kind of thing was difficult, if not impossible, to explain in words. The concept of a world having a soul was so foreign that it was easy for others to write her off, dismiss the truth as a single elf's "perception." Nissa didn't blame Gideon or Jace, or any of the others. They didn't see things as she did. 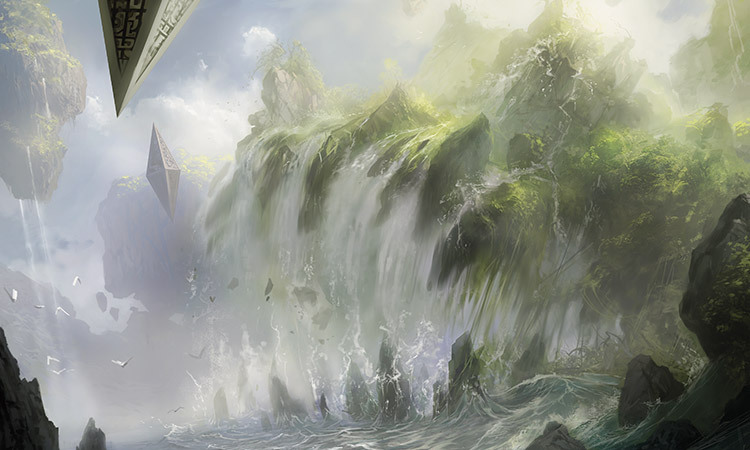 When they looked at Zendikar, they saw trees, rocks, brambles, beasts, rivers, and mountains. But they saw each of these things as distinct and disconnected elements. They didn't perceive the underlying bond. They were blind to the powerful leylines that connected every living thing on the world like a network of arteries, pumping power and promise from one beating heart to the next. They were deaf to the voice of the world that whispered and shouted and laughed and sometimes even cried out in pain. They could not see how truly alive Zendikar was . . . or used to be. When Nissa looked at the world now, she too only saw broken sticks, fallen leaves, and tangled branches thick with thorns. She could no longer see the whole, she couldn't feel the oneness. She could not hear the voice of her friend. The dullness of the world around her screamed reality. It made her memories feel like dreams, the fanciful perceptions of an elf. If those dreams had ever been real, they were not real anymore. "Are you really gone?" Nissa didn't want to believe it. There was something that told her that it couldn't be true. Yet . . . she lowered her hand, fingers outstretched, ever so slowly down toward the surface of the ground. She held her breath and touched the dirt. But that's all it was: dirt. 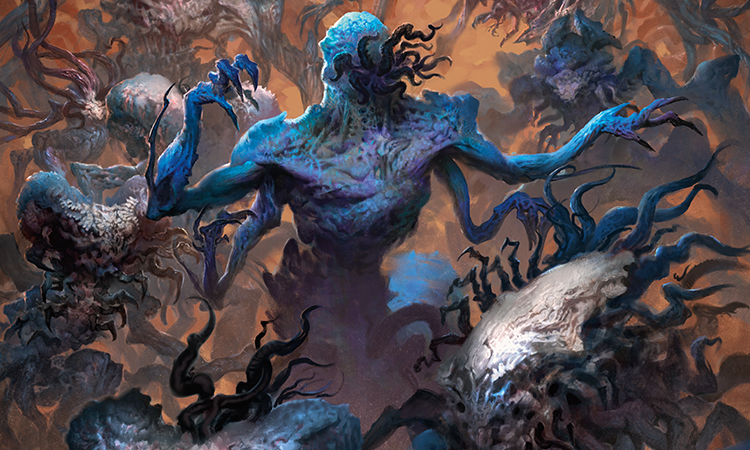 If Zendikar's soul was gone, if the Eldrazi titan had destroyed it, then all of this dirt, all the brambles, and branches, and beasts, would soon be gone too. A world without a soul would not be a world for long. Her other hand at her chest, Nissa clutched the silk packet of seeds given to her by the vampire what seemed like ages ago. If this was truly the end for Zendikar, then these seeds were exactly what the vampire had said they were: the world's last hope of enduring. On another plane. Nissa swallowed, but the hot lump in the back of her throat worked its way up behind her cheeks anyway. She closed her eyes as a single tear trailed down the side of her face. She held the seeds tighter. She had been so sure that she would prove the vampire wrong—no, she had been so sure that together she and Zendikar would prove the vampire wrong. She had promised the seeds that she would plant them here on their own world's soil when it was safe, when the Eldrazi threat had been eliminated, when they could grow into tall, strong trees and weave their lives in with Zendikar's soul. But Zendikar's soul was gone. It was gone. How many more times would she have to reach out into the void to be convinced of it? It's gone. She forced the words into her mind. Zendikar is gone! Some part of her still refused to believe it. She knew that all the evidence—everything she had seen, felt, and heard—said it was true, but somehow she couldn't believe. Nissa opened her eyes to the twilit world of long shadows. Tonight, none of them were Zendikar, but one night, one of them might be. If it were to come back, this is where the world's soul would come. "Run!" The shrill voice of a goblin from behind startled Nissa. Instinctively, she jumped to her feet and drew her sword. "Run!" the goblin cried. It was barreling toward her, moving at a surprising speed considering one of its back legs appeared to be broken—or maybe even partially amputated, Nissa couldn't tell. "Run, now!" Nissa sidestepped as the goblin blew by her. And then, in the distance, she saw the stampede. There were at least three dozen Eldrazi. Small, no bigger than the stump of a tree. They moved so quickly that each of the monsters looked like a hard, bony insect being carried along on a blurred cloud of dust that was its legs. 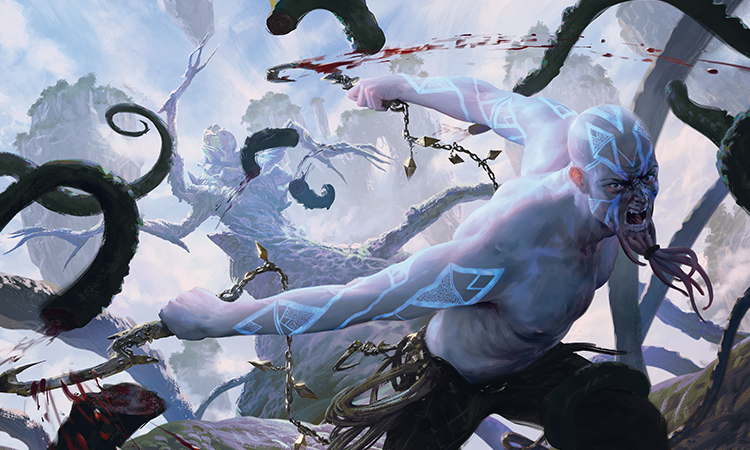 They navigated nimbly through the forest, coming straight for her, straight for the clearing—Zendikar's clearing. She could not allow them to touch this place. She could not allow them to corrupt a single piece of grass. She tightened her grip on the hilt of her sword—it was the only weapon she had. It would have to be enough; she would make it enough. She stepped forward to stand between the precious piece of land and the monsters. They were so close that she could smell them now. Disgustingly fleshy, scurrying creatures. They were never part of the oneness that was Zendikar. The leader of their pack set its course straight for Nissa. All of the pain and destruction here, it was all their fault. The steel hit the bony plate of the first Eldrazi, and Nissa powered straight through to the sinew underneath, slicing the miniature monster in half. A beat later she pivoted and carried her momentum with her through her sword and into the head of a second Eldrazi. She hated them so much she could squeeze each of their necks until their heads popped off. She hacked and chopped at the horde as it surrounded her. They seemed to have forgotten about the goblin quarry they had been pursuing. Good. Then they would have no reason to tear through the clearing after it. Nissa spun in a circle, blade out, severing no less than four bodies from their wriggling, scrambling legs. One managed to latch onto her own leg. It scampered up, pulling on the fabric of her skirts, digging its sharp, pointed nubs of feet into her flesh. "Get off me!" Nissa grabbed the thing by its bony back and ripped its legs out of her thigh. She launched it straight at a nearby tree with so much force that when it hit, its bony plate shattered and its insides splattered against the bark. She didn't have time to watch the monster drip down the trunk; there were dozens more. If Ashaya had been there, the elemental would have stomped on them with one massive foot, taking out the whole swarm with a single thrust. If Nissa could have reached Zendikar's well of power, she would have called up great walls of land to snap shut on them, crushing the whole lot in the space of a breath. But as it was, she was only one, and she only had her sword. She choked up on the hilt and swung again and again and again. It seemed they would never stop coming. A caution tugged on the corner of her mind, the same caution that had been dancing at the edge of her awareness for the past few days any time she faced an Eldrazi. If it came to it, if she couldn't destroy the Eldrazi and she couldn't escape—then she would have to go. She would have to planeswalk away before their corruption touched her. She could not allow for the seeds to be turned to white, chalky dust in her pocket. Not if they were Zendikar's last hope. Her insides tensed and the edges of her form tingled. Her body was prepared to planeswalk. All she would have to do was release her hold on this world, this place, and she could leave. But leaving would mean that it was over. And Nissa wasn't ready for this to be the end. Not yet. She thrust her blade at two of the nearest Eldrazi, skewering the pair through their chests; at the same time, she kicked a third away from her legs, but the swarm only thickened. The prickling intensified. Nissa's instincts were telling her that this wasn't a battle she would win easily. She somersaulted out of the way of a fourth and punched a fifth in its underside, using the ricochet to catapult herself over three more that had come too close. The trilling had worked its way up to a resonant frequency, and it tugged at the pit of her stomach. She could still win this. She hacked down two more. But eight more closed in. She could feel the weight of the seeds in her pocket. There was no answer. Of course there was no answer. She glanced back over her shoulder at the clearing. 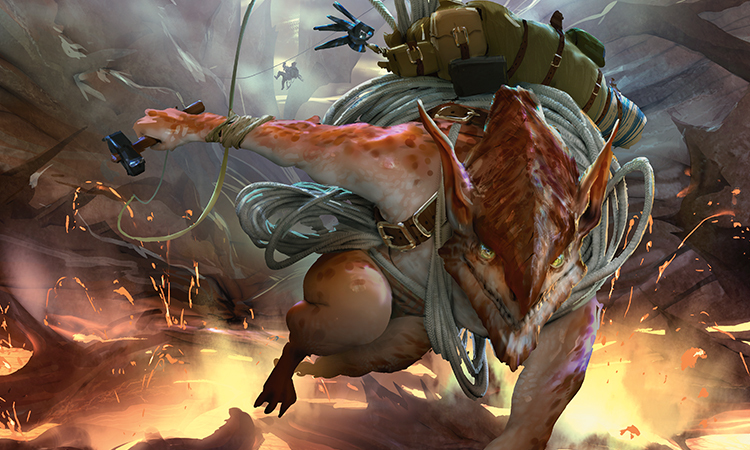 Then, with a zip and a metallic clanging, a hook on a chain rushed past her and plunged into one of the Eldrazi, which—now that she saw it—looked like it was about to pounce. The chain was yanked, pulling the hook back, and Nissa followed it to a broad-chested kor. He was holding one hook in each hand. Hedron tattoos glowed on his arms and forehead, illuminating his hard-cut facial features and the long bundle of barbels that hung from his chin like a beard. "I'll take this group, you focus on that bunch on the right." Nissa nodded, turning her attention to the handful left to her. There were only five. That was manageable, even for just one elf. This would not be the end. She pushed the impatient tingling away from the edges of her being. She would not have to leave this world, not tonight. When both Nissa and the kor were satisfied that there were no Eldrazi left, he turned to her, wiping the Eldrazi gore off his hooks. "You didn't happen to have seen a goblin pass through here, did you?" "She went that way." Nissa pointed to the trees on the other side of the clearing. The beautiful, uncorrupted clearing. "And I take it she's the one who brought the swarm with her." 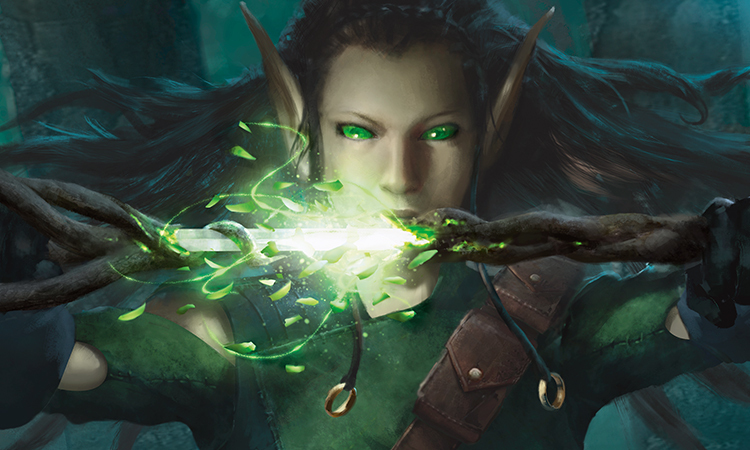 Nissa sheathed her sword. "You could say that." "I warned her. How many times do you have to tell a goblin to take it slow in order to get it through its thick skull?" The kor walked straight across the land where Zendikar had fallen and toward the trees where Nissa had pointed, but he didn't seem to see the trail the goblin had left behind; he was already wandering off course. "I don't think goblins understand the meaning of 'slow,' " Nissa said. "And it's more that way." She crossed the clearing too, not taking a single step on the uncorrupted ground for granted. She pointed down at the packed underbrush where the goblin had run through, dragging her injured leg. "See?" "Ah, right," the kor said, adjusting his course. "On both counts. You must be one of Gideon's rangers." A ranger. Nissa hadn't considered herself a ranger for what felt like a very long time. An animist, a nature mage, a part of Zendikar. But not a ranger. Now that seemed to be the only thing she could claim to be. "Something like that," she said. "Gideon's lucky to have someone like you out patrolling," the kor said as he traced the goblin's path. "So is Pili. Don't think she would have handled that swarm with quite the same . . . finesse as you did." He smiled, his glowing hedron tattoos lighting his sharp features. "I'm Munda, one of Gideon's squad leaders. Usually you wouldn't find me chasing around stray goblins, but tonight I drew the short straw." "Oh." Nissa said. The kor, Munda, was slightly off course again. The trail was harder to follow here. They were walking across hard, rocky ground now, which was significantly less revealing than soft dirt or leaves. "To your left." Nissa wasn't sure when she had agreed to help Munda track Pili, but here she was, a ranger again. "She came in with the new recruits today," Munda said, nodding ahead, indicating the lost goblin. "Raving from the moment the healers fixed her up enough for her to regain consciousness. Something about her friend, Leek. Another goblin, I assume. From what I was able to get out of her, the two were separated at Sea Gate. She was picked up by the Dojir Nomads on their way over from the Calcite Flats. The other goblin, Leek, was most likely lost. But this Pili, she has it in her head that he's out there. I told her nothing is left at Sea Gate." Nissa knew what it was like to feel something that no one else could understand. "Did you see the numbers we got though?" Munda went on. "I didn't know there were that many outcasts at the Calcite Flats. Ah, but Gideon—Commander-General Jura, that is—he says they're not outcasts at all. We're all in this together. And so as soon as they stepped foot on Sky Rock, they were no longer the Dojir Nomads, they were part of our army. It's as simple as that. That man's something else." Munda scratched the barbels on his chin. "You might be surprised, but I knew him before all this." His look indicated he was expecting some sort of reaction from Nissa. "Oh," she said. Most of her attention was focused on the goblin's tracks. They were headed in the direction of Sea Gate, just as Munda had predicted. Nissa wanted the goblin to be right, but she didn't see how Pili could be. Nothing was left at Sea Gate, she had seen it herself. "We battled together, Gideon and me," Munda said. "Quite a number of times. Our paths would invariably cross, as neither of us shied away from taking on the biggest of the monsters." "That was before Sea Gate fell, of course. Now taking on one of the big ones is just considered foolish. Save yourself, because we need you for the fight that's coming, you know?" "Gideon's right," Munda said. "We need every single man, woman, and child this world has to offer if we hope to stand a chance. That's one of the reasons I'm tracking down this goblin. Pili's a fighter. Obvious by her spirit. We especially need the fighters. We all have to band together. It's now or never. As one, we'll reclaim Sea Gate. And from there, we'll take back Zendikar." Nissa's breath hitched. She almost spun on the kor, she almost snapped, almost told him that Zendikar wasn't something you could "take back." Zendikar wasn't something that belonged to anyone. Not to the people, not to the Eldrazi, not even to the great Commander-General Jura. Zendikar, the real Zendikar, was simultaneously bigger than anything they could imagine and so much more intimate than they could ever understand. She almost told him that when they cried out—"For Zendikar! "—they didn't know what they were saying. She almost told him. And then she heard the sobs of a goblin. Sitting at what was clearly the recently exposed mouth of a hidden, underground cave was the small form of the injured goblin. "I told you to slow down," Munda's voice boomed. "You would have been devoured if it wasn't for—" he broke off when he saw her tears. Nissa knelt at the goblin's side and rested her hand on Pili's heaving shoulder. "Leek." The name came out on a sob. Nissa looked to the hole in the ground. "Hello?" A voice came up from below. It was weak and quiet. "Help. Please." Pili sobbed again. "Leek." She shook her head. Nissa looked to Munda. "Keep an eye on her. I'll be right back." Munda nodded, though he didn't move any closer. He seemed out of his element in the presence of this small, sobbing creature. Nissa climbed down through a tight tunnel that ended at a nearly-complete cave-in. There was the smallest sliver of an opening at the top. She reached to her belt for a flint and struck it against the wall. Holding the flame to the opening, Nissa could make out what at first looked like a hundred little glowing lights. But as her vision adjusted, Nissa saw the lights were eyes, those belonging to a large group of goblins. "Help," one of them said weakly. "Munda!" Nissa called up. "We're going to need some rope. And those hooks." She looked back at the goblins. "None of you is Leek, are you?" Collectively, they bowed their heads. One of them pointed back to the far corner. Three bodies were lined up against the wall. "Oh," Nissa said. Her heart broke for Pili; the goblin had been so close. With careful work and patience the cave-in was cleared away—Nissa could have done it in a heartbeat had she had access to her powers—and the goblins made their way out. Munda was pleased at the size of the goblin army they had uncovered, and as he helped arrange for the injured to be carried back to Sky Rock by the others, he told them of Commander-General Jura and the plan to reclaim Sea Gate. He had the attention of most in their numbers. But Pili sat off to the side, alone. Nissa approached slowly and knelt at the goblin's side. For a long moment they just sat there in the dark in silence. Then the goblin inhaled deeply. "They said he was gone." She shook her head. "But I knew he went to the safe place. I knew." She pounded her fist into the dirt. "I should have been faster." "It's not your fault," Nissa said. The goblin gestured at her injured leg, which was now roughly bandaged and bound. "I should have run faster." She pounded the dirt again, and then once more, and then the tears came. Nissa had never hugged a goblin before. It had been a long time since she had hugged anyone. But it seemed like the thing she was supposed to do. She understood Pili's pain. She understood what it was like to hurt on the inside. Hurt in a way, in a place, that no one could see or reach or fix. This was the kind of pain that existed in deep wells and came crashing down in overwhelming waves. Waves that worked their way up from an endless sea. Waves that would never stop crashing. Sometimes they would be rough, and sometimes they would be muted. But they would never stop beating against the shore. Nissa squeezed Pili around the shoulders and waited for this wave to pass. "They said he was gone." Pili said, wiping her tears. "But I knew." She hit her fist to her chest. "I knew here." She pounded her chest again. "Here!" She stood up. "I knew!" She spun around to face Nissa, her eyes narrowing as her sorrow turned to vengeance. "The monsters will pay for making him run. They will pay!" She stormed off to join the others, to listen to Munda's message. Nissa's heart thudded in her ears, an echo of the pounding of Pili's fist on her heart. It was just like Pili had said. Nissa touched her own chest. She knew. She knew just like the goblin. That's why she couldn't leave when her life was threatened, she couldn't planeswalk away even when she was surrounded by Eldrazi. That's why she kept vigil. That's why she refused to listen even when her mind told her that it was gone. Zendikar was there. It was like a word on the tip of her tongue. There was not a place where the world's soul went when it was scared or when it needed to regroup. Or when it was hurt. Nissa was on her feet, the edges of her being scintillating, ready to planeswalk before her mind had even caught up with what her heart knew. There was a place. A safe place, a powerful place. A place that Zendikar could have retreated to. 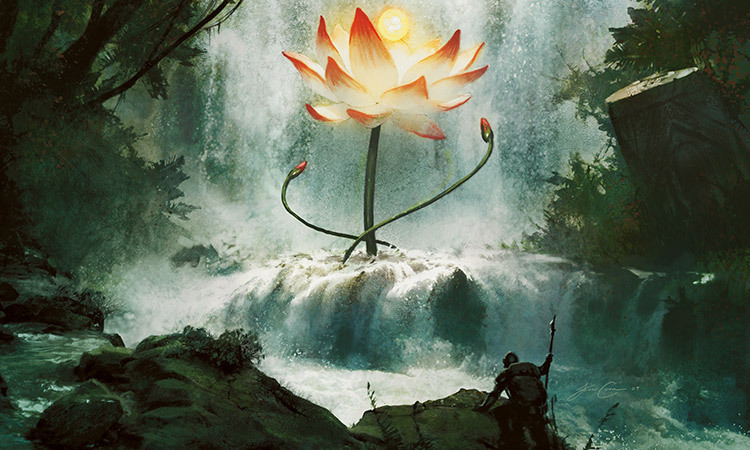 The expression of Zendikar's mana. The spot where all the leylines converged. If something had happened, if the titan had threatened the world's soul, that's where it would have run to. That's where it would be hiding. Zendikar was still here, just as Nissa had known all this time. It just wasn't here. Of course it wasn't here. Why would it come back to the forest where the horrible thing had happened? She had been looking in the wrong place all this time. The murmuring voice of a staring goblin brought Nissa back toward reality, back toward this forest where her feet were grounded—though not all the way. She had forgotten the goblins, and Pili and Munda, and Gideon and Jace, and even the Eldrazi. She had forgotten everything but Zendikar. "I have to go," she said to no one and everyone at the same time. It was all she could do to run into the forest out of their line of sight. From the trees of the Vastwood, Nissa set her sights on Bala Ged. How fitting a destination that was—the place where she had met the world's soul for the first time. All the memories flooded back. It was like she was there again. It was like she was that young elf—that Joraga ranger—again. This night was like the night she had left her home so long ago. She had snuck out in the cover of darkness. She had made her way alone through the forest. The difference was that back then she had been running away because she was scared of Zendikar—she had thought the land wanted to hurt her. This time she was running straight toward it. She couldn't wait to see it again; Zendikar was her closest friend. Trembling, Nissa let go of the Vastwood; she stopped fighting the tugging, and the tingling at her edges worked its way inward. 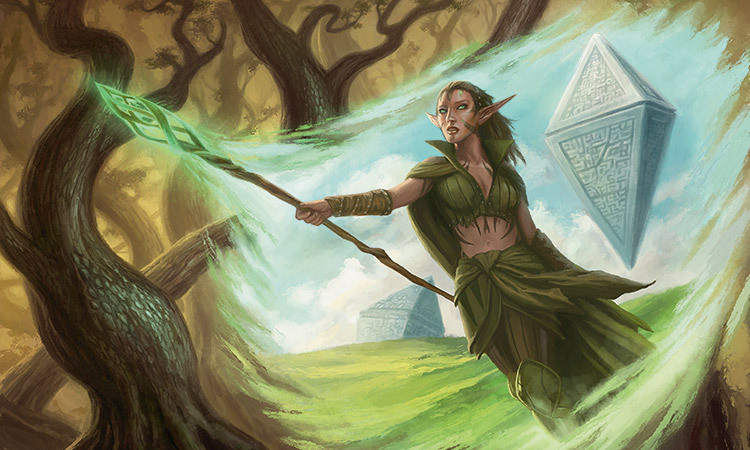 When it reached her center, Nissa planeswalked away—back home, back to Bala Ged, to find Zendikar.